Superior design and features in a quilter’s package. Modern LCD Display: The illuminated high-contrast display provides information and settings at a glance: the selected stitch, stitch length and width, needle stop (up/down) and the recommended presser foot are clearly displayed on screen. Direct Stitch Selection: Keep the most common utility stitches and functions right at your fingertips—quick and practical. Speed Control: Simple and intuitive! 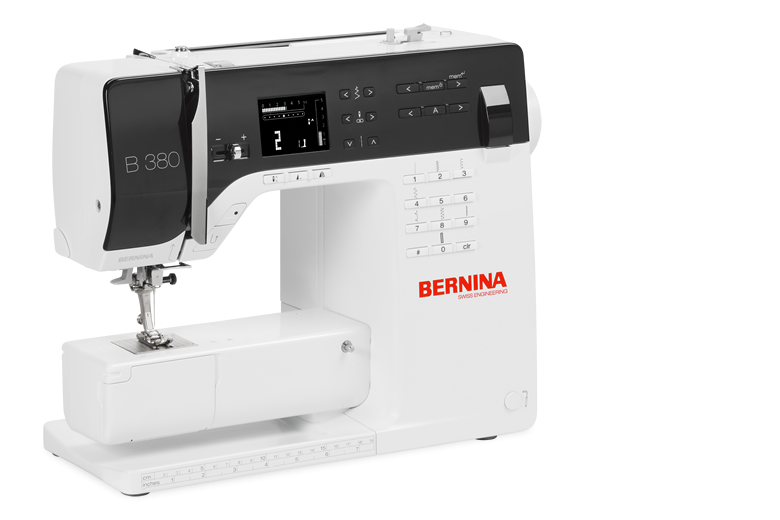 Adjust your speed from slow for precision work to fast for more general sewing or anywhere in between. Extension Table: Simple and smart, the extension table makes sewing easier by providing the added comfort and convenience of added sewing space.